Are you sure the axle won't fit into those bearings? I just looked at Mcmaster's catalog, and the sell oil-impregnated bronze bearings "For 1-1/2" shaft" and a bunch of other sizes. These will slip-fit onto all the designated sized shafts easily. > make the bush ID bigger myself? Clif; your hand-sketch (very nice, BTW) raises a question about bench vises. I've seen some that have a set of gripper teeth below the flat vice jaw faces, and those teeth are designed to grip round stock like rod or pipe. My little vise doesn't have those teeth so I usually use the Armstrong technique when clamping round stock in my vise, unless it's thinwall material or has smooth-finished surfaces that must be protected. In those cases, I just have to use whatever is at hand to keep the jaw faces from direct contact with the work, and that usually means working gently or living with some rocking or rolling of the work in the vise. In the case of an axle like this, would you put some thin leather in the vise jaws to grip the axle, or do you have any nifty tricks for holding round stock securely in the jaws? Sorry, no nifty tricks but the axle doesn't have to be horizontal. around the axle and zapstrap it. Anyone with those pipe jaws--they will dig into the pipe weakening it. how's it staying in the can?" you have any nifty tricks for holding round stock securely in the jaws? Clif; thank you. 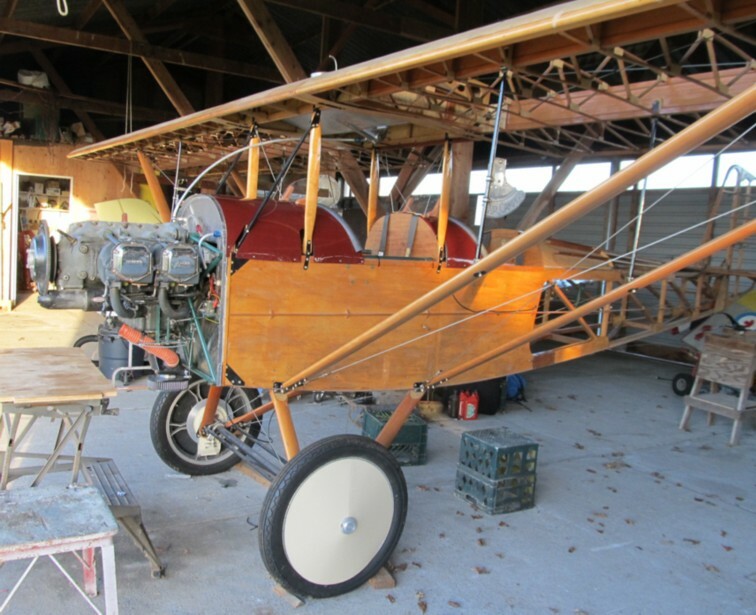 And I know I'm getting way off-topic here, but seeing the nice wood cabane struts and other details on your airplane, in Canada how does your CAA (or Transport Authority, or whoever it is that deals with experimentals) look upon deviations from the plans? In some other countries, every single little thing has to get approval or it won't fly, literally. How much leeway do you have? with a declared gross of 1500lb! You have your DAR, we have MD-RA. a barn. Just DO NOT, however, carry a passenger while doing so! Mine is an adventure theme park. literally. How much leeway do you have? Thanks Clif. I used a wire wheel on the axle and a brake caliper hone and electric drill on the bushings. It's working perfectly now. Much appreciated.